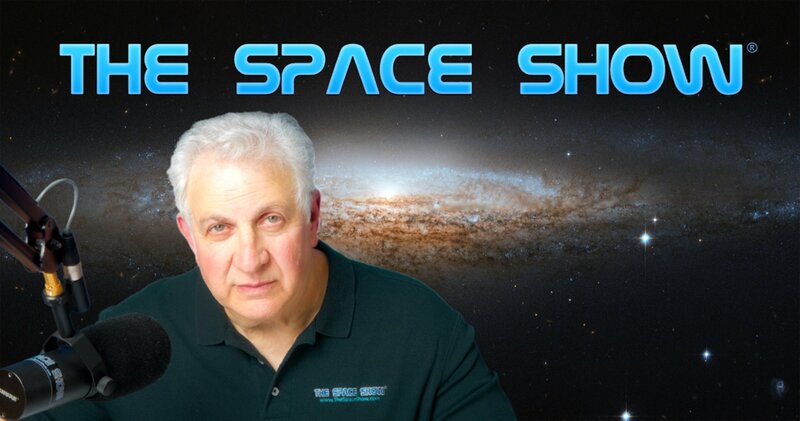 We welcomed Dr. George Fox to the program for a one segment 1 hour 21 minute discussion of the subject of hardy Earth organisms surviving a long journey through space and possibly bringing it with interplanetary contamination. During the first part of our program, we talked about hardy Earth spores surviving on the ISS, even on the outside of the ISS. Note that Dr. Fox did say that these spores, including those probably on Mars from Earth hardware, are non-pathogenic. When I heard that, I asked Dr. Fox what it would take for the spore to become alive and possibly put crews at risk. Don't miss what he said about this and the right type of conditions that would need to exist to make the spore become active. Additional early topics included the Martian meteorites that have been found on Earth and complete gene sequencing regarding Mars and someday what it might tell us about the origin of life. For origin of life studies, we talked about there being no ribosomes which would result in a different life material. We spent more time talking about the ISS and some of the space health risks including radiation and microgravity. One area of discussion that we spent lots of time with was getting humans on Mars. Listeners and I asked our guest multiple questions about humans on Mars and forward contamination issues. The same for the Mars Sample Return and should we bring Mars samples back to Earth or evaluate them on the space station or maybe in a lunar lab. This was a thorough discussion that was ongoing for the balance of our program. Part of this discussion focused on completely different types of life forms and would we be able to even detect them. Listeners and I asked our guest if we should delay humans to Mars until we knew more about the potential for life on Mars or the possibility of bringing something back to Earth that might prove dangerous. The short answer given us by Dr. Fox was no to the idea of a delay but listen to all of what he had to say on the subject. Life detection experiments came up several times during our program. Like many others, Dr. Fox wondered why NASA had not undertaken life detection experiments. Here, we talked about Viking, Dr. Gil Levin and in general about his plans to get NASA or someone to accept a simplified life detection experiment on a Mars mission. As for Martian sample returns, we talked about the CDC containment lab in Atlanta and asked if that would that be sufficient to protect Earth from a disaster should we bring back he Andromeda Strain. Don't miss what our guest said regarding the potential use of the CDC lab model. Before our program ended, I asked about timelines for making progress in this area. I asked if ten years was sufficient. Our guest said no but then thought maybe 20 years would be OK. Don't miss our complete discussion regarding life experiments and sample return for Mars. Before our program ended, I asked our guest if he thought the American private sector could do these missions regarding human spaceflight to Mars. He did not think so and thought that a NASA like government entity would have to be involved in the effort. Please post your comments/questions on TSS blog. If you want to reach Dr. Fox, you can do through me or his University of Houston faculty webpage.